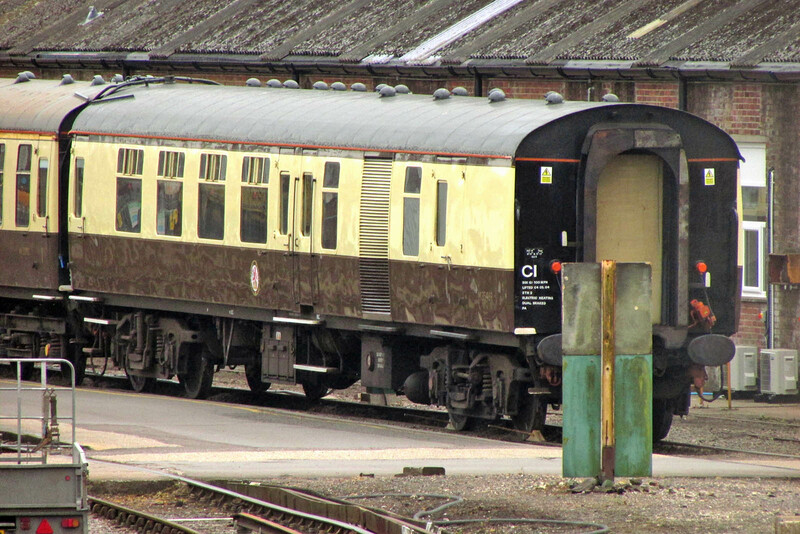 56312 Jeremiah Dixon has been resident at the works in recent weeks, apparently awaiting wagons to complete repairs. 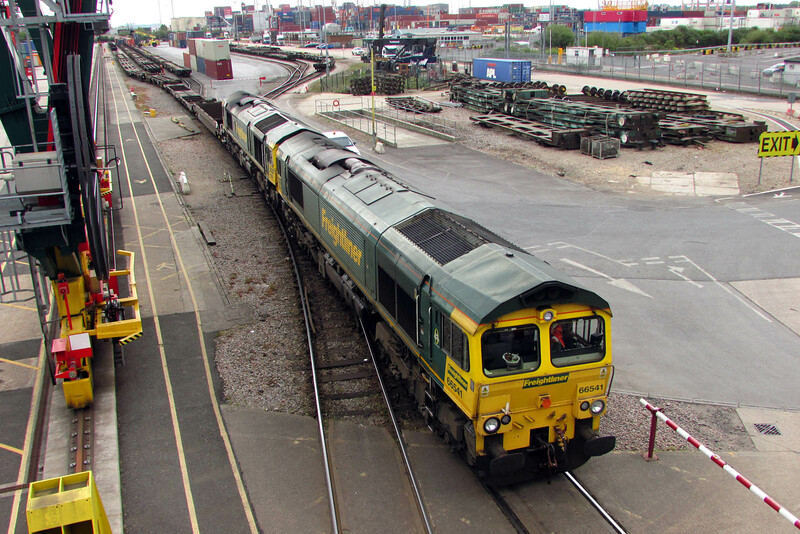 This is the oldest surviving Class 56, originally delivered from Romania as 56003, reaching Zeebrugge on 13th August 1976, as the second delivery from Craiova, entering traffic on 28th February 1977. 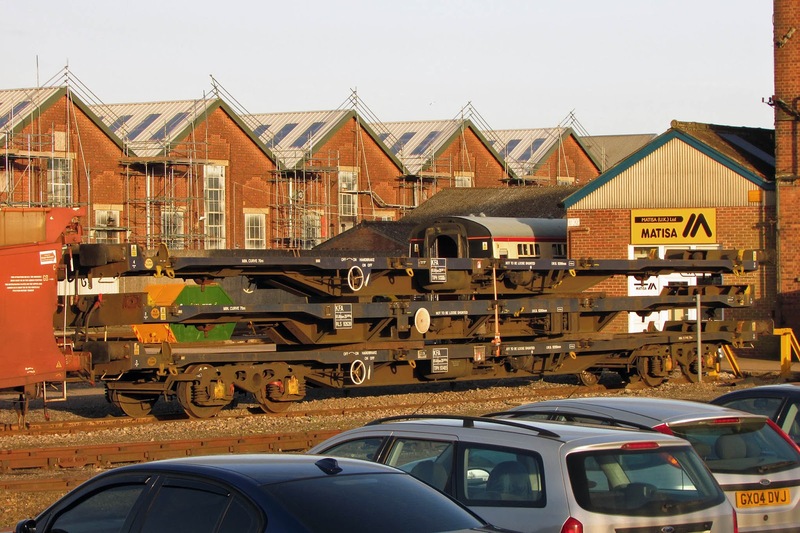 Withdrawn in 1999 with worn centre castings, it reached Booth's scrapyard in Rotherham from Toton in February 2004. 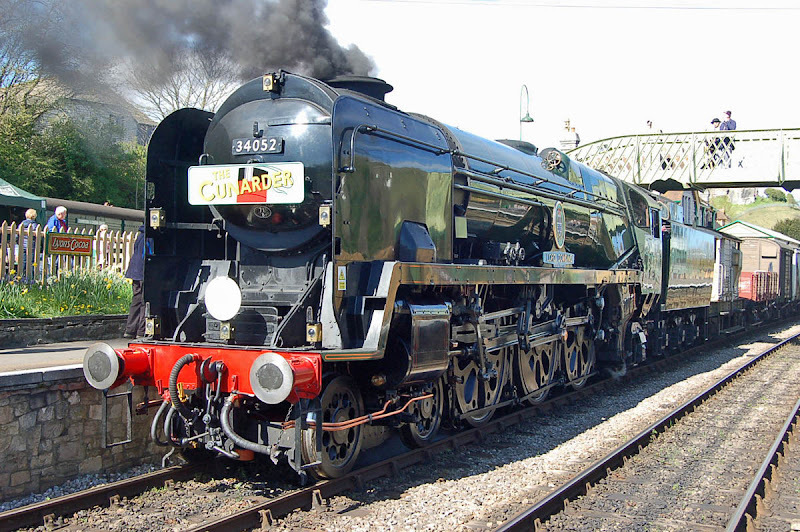 In April 2004, it was sold into preservation, initially at MOD Ashchurch, and later at the Nene Valley Railway. 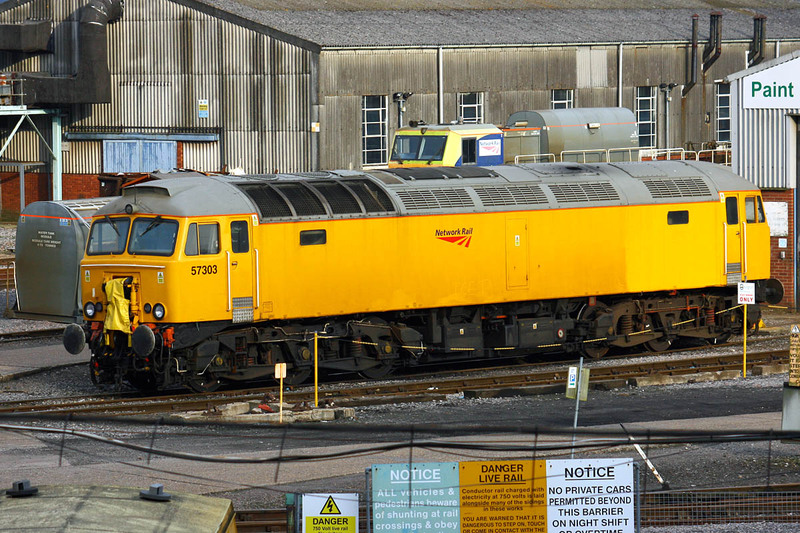 In 2008 it became 56312 Artemis in the Hanson Traction fleet, a predecessor to DC Rail. 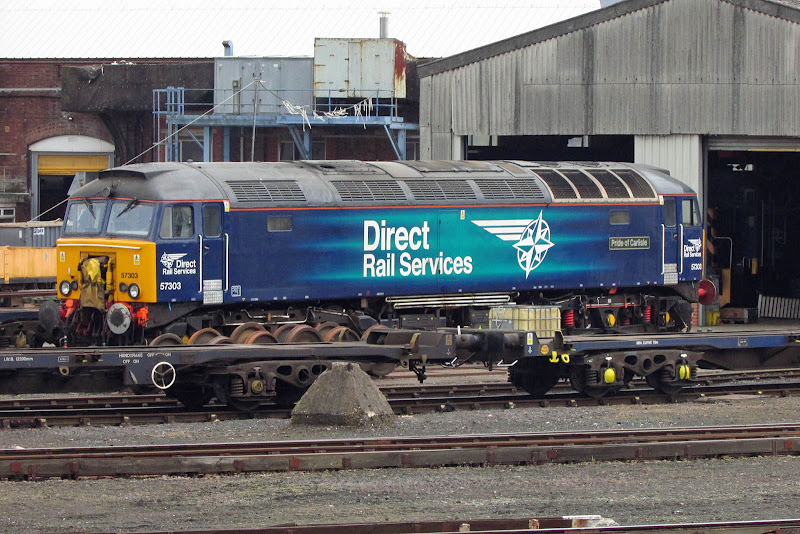 57303 Pride of Carlisle has been on the works since 25th January, and is believed to have swapped bogies with 57011. 57303 was D1957, delivered on 14th January 1967, later 47554 from October 1974 upon ETH conversion, and 47705 from March 1979, then allocated to Haymarket. 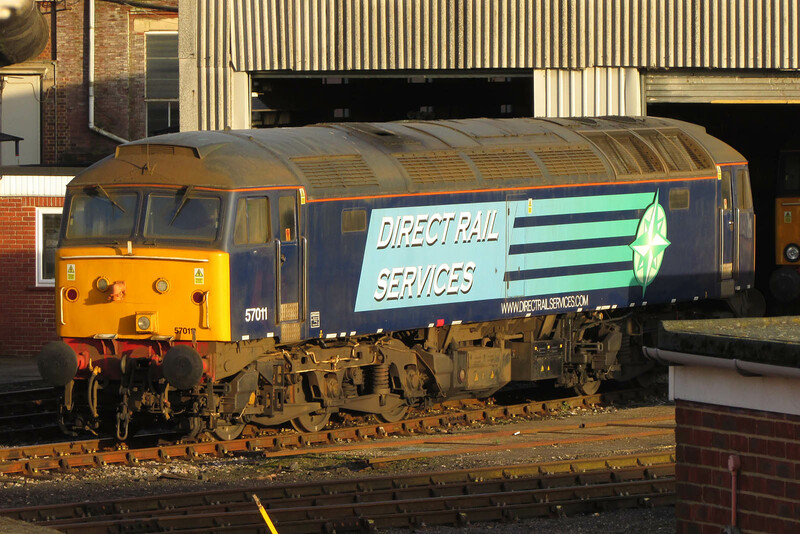 Rebuilt in March 2003 to 57303 Alan Tracy, later to Network Rail and then DRS. This locomotive has seen use on GWR sleeper services. Mk 1 BSK 35469. BR Wolverton Lot 30721 1963. 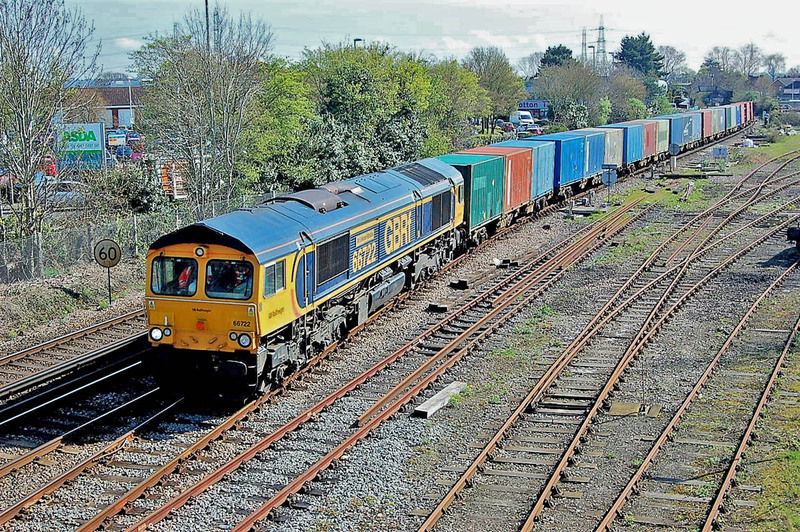 66515 66554 66418 are lined up at Maritime, 22nd April. 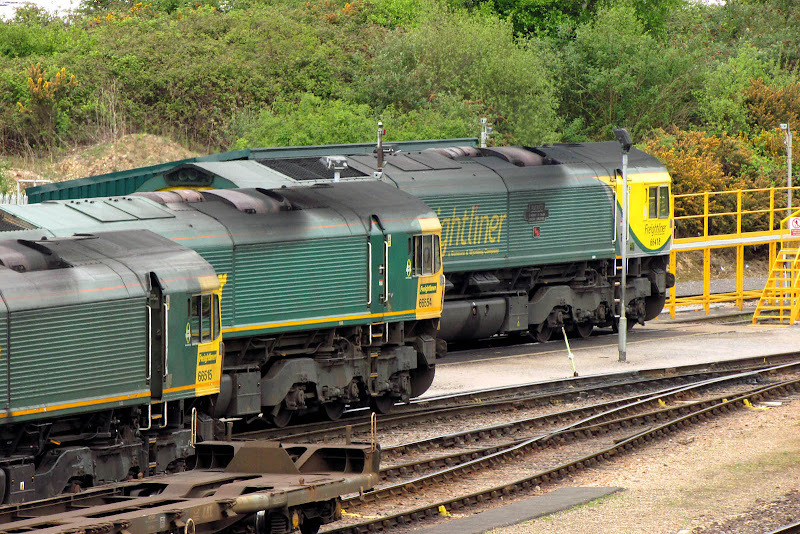 A pair of 66541 and 66593 were operating as a super shunter, which seems rather unusual. New book - just about to order my copy. The Flying Scotsman LineUp, ECML, 23rd April. A handful of transport variations from China and Hong Kong. 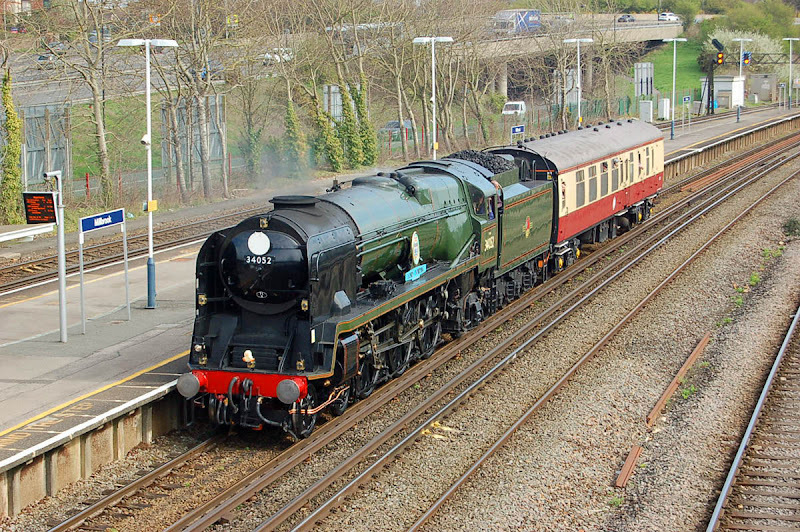 Activity related to this travel has rather restricted my recent time for '47Soton', and trainspotting was not really on my agenda while there. A Class SS8 electric locomotive, built 1994 - 2001, believed to be SS8 0163, is arriving at Shenzhen from the north,15th April. 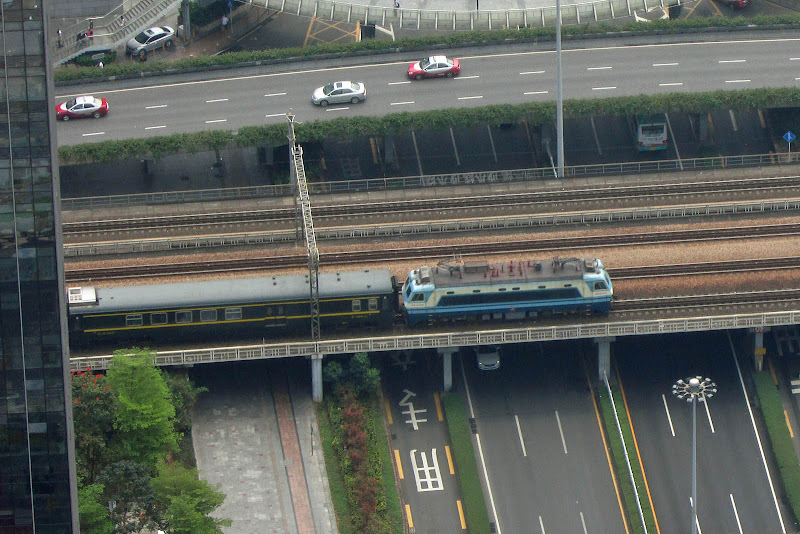 This train may be proceeding to Hong Kong, the locomotive class is the only China Railways Class permitted to run on to the East Line there (Kowloon Canton Railway). 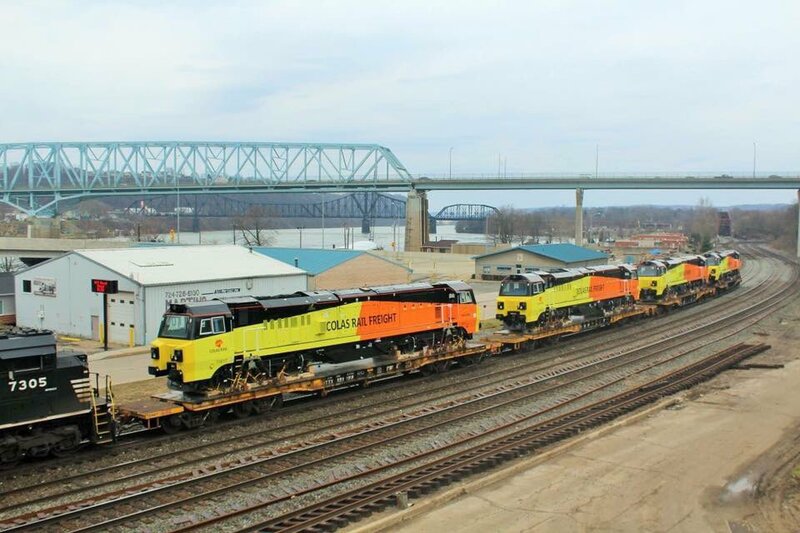 These locomotives run on 25kV 50Hz electricity supply and are rated at 3600 kW (4830 hp). For reference, a China Railways map. The picture was taken from the Di Wang Tower. 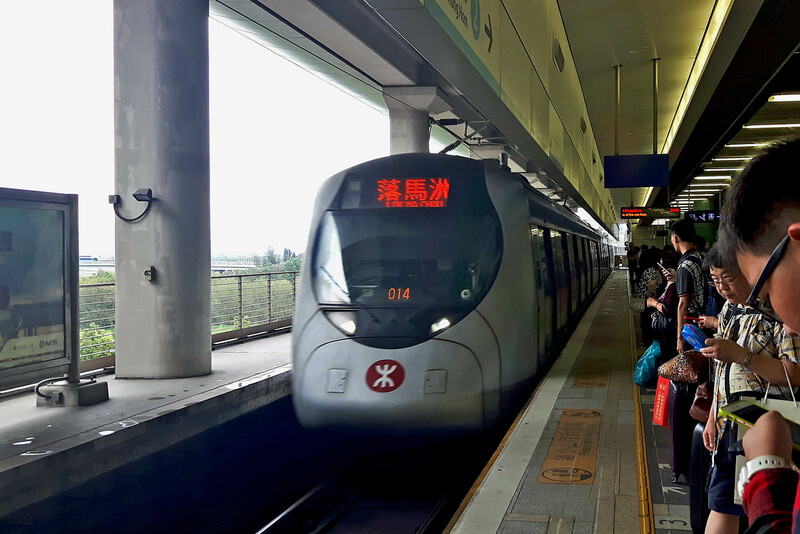 A MTR SP1900 emu, constructed by Kinki Sharyo, rolls into the terminus of the East Rail Line at Lok Ma Chau in the Frontier Closed Area (linked by footbridge to the Futian Control Point), 20th April. I travelled in car M225. MTR Corporation are part of the recently announced winning bid for the South West Trains franchise. 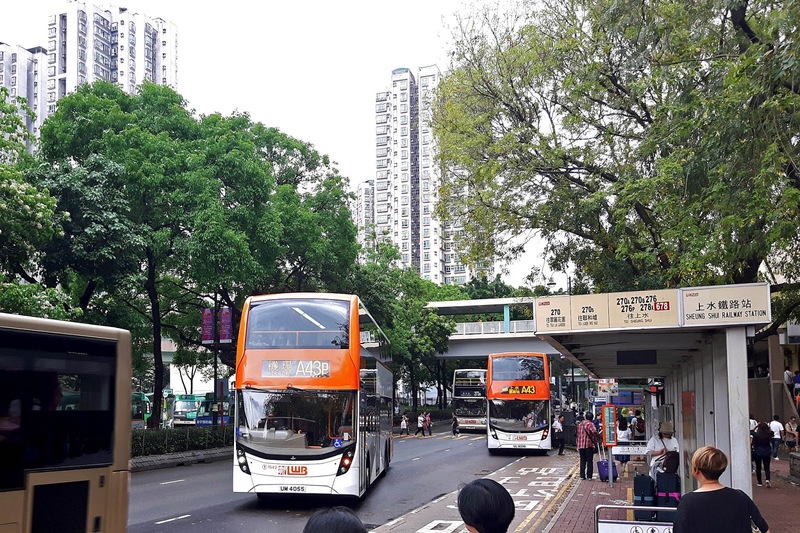 Alexander Dennis Enviro 500 MMCs of Long Win Bus, and an older ALX500 of Kowloon Motor Bus at Sheng Shui station, while making a transfer from the MTR to a bus to the airport. KMB and LWB are in a common ownership. My first sighting of an Airbus A350. 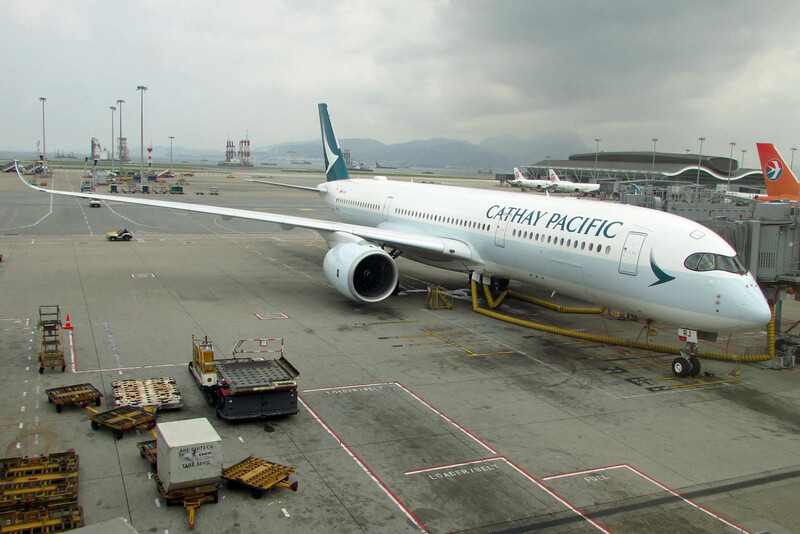 Cathay Pacific B-LRJ was delivered in late 2016, and was going to be on a flight to Bangkok. Departure for London on Cathay Pacific Boeing 777-367ER B-KQB. A southbound train, Chico, California, 8th September 1997. 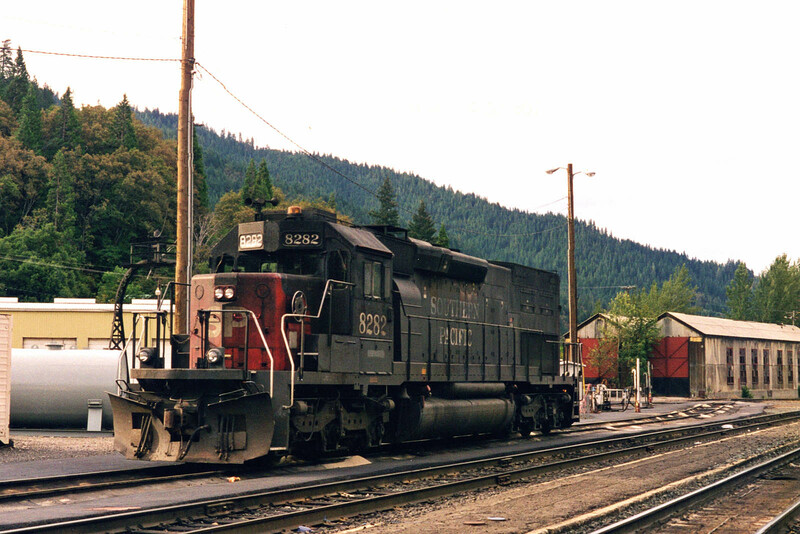 9823, with a small UP sticker over its leading 'SP' marker, is an EMD SD70M (EMD serial 936438-24), the second last of the only SP order of 25 locomotives delivered in June to August 1994, and intended for service on the I-5 corridor. Renumbered to UP 3998, and still in service with that railroad. The power unit inside is a 4300hp EMD 16-710-G3, a 16 cylinder variant from the same series as the 12 cylinder in Class 66. 9815 is a similar locomotive, delivered in July 1994 (EMD serial 936438-16). Currently running as UP 3990. 8594 is a SD40M-2 in an SD45 housing, with flared radiators. 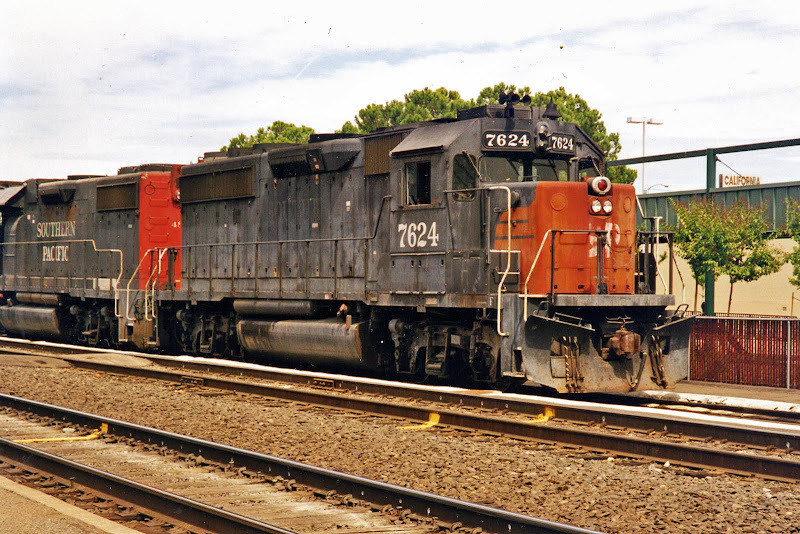 New in October 1971 as an SD45 to Seaboard Coast Line as their 2037 (EMD serial 37728). 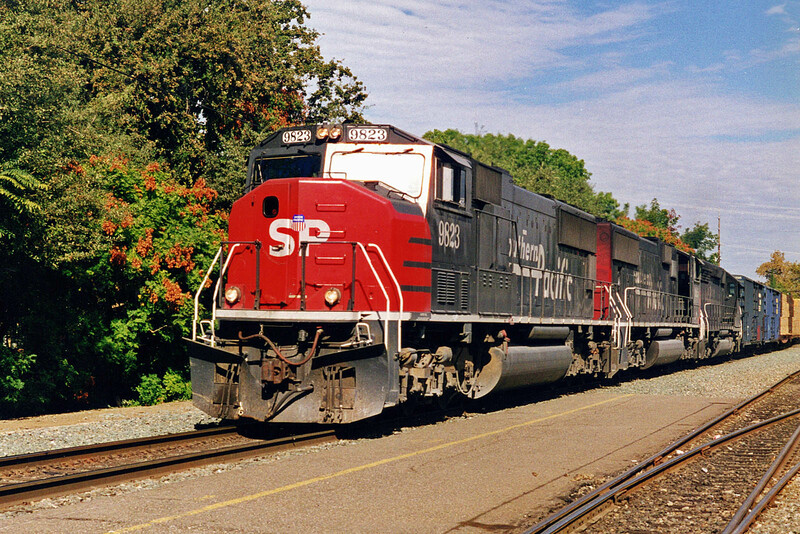 Renumbered to 8937 upon acquisition by CSX, then rebuilt as shown for SP usage from July 1994, later UP 2670) with a EMD 16-645-E3 at 3000 hp - rather similar to that in Class 59. Retired by UP on 24th October 2005. Last noted in the storage lines at Sterling, IL in 2011 - 2013, understood to then be in the ownership of Citibank. Thirty of these were still present there a year later. 7624 is a GP40-2 delivered to SP in February 1978 (EMD serial 776071-17), later UP1381. 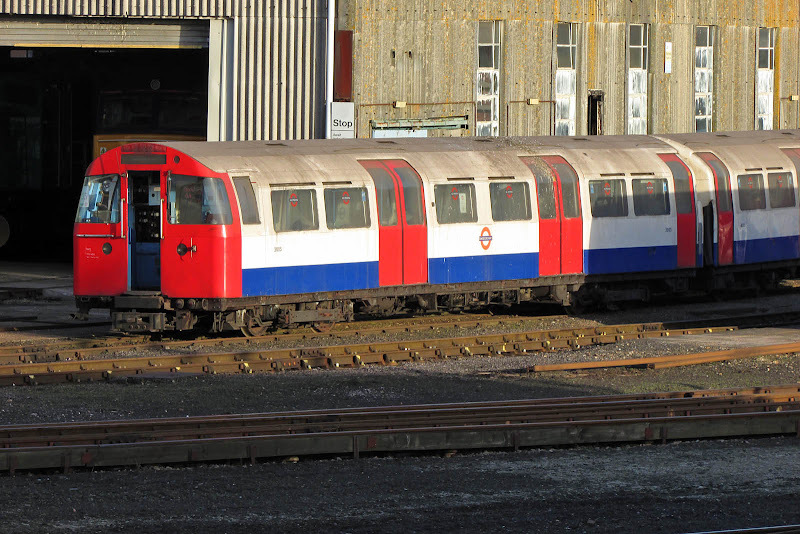 Still in UP service in 2017. 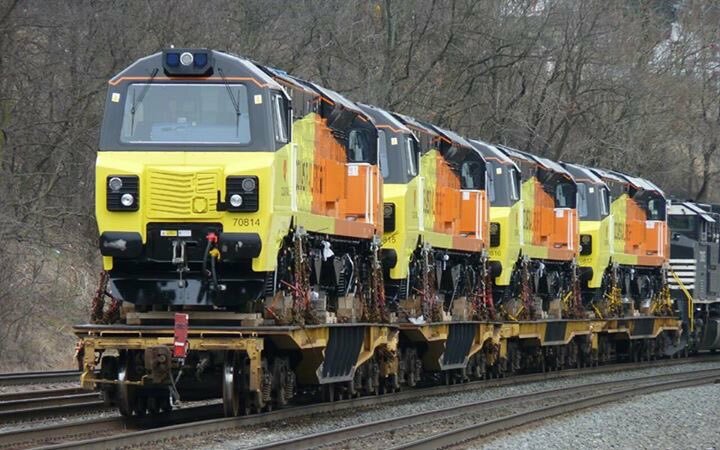 GP40-2 locomotives have turbocharged 16 cylinder EMD 645E3 3000 hp prime movers. 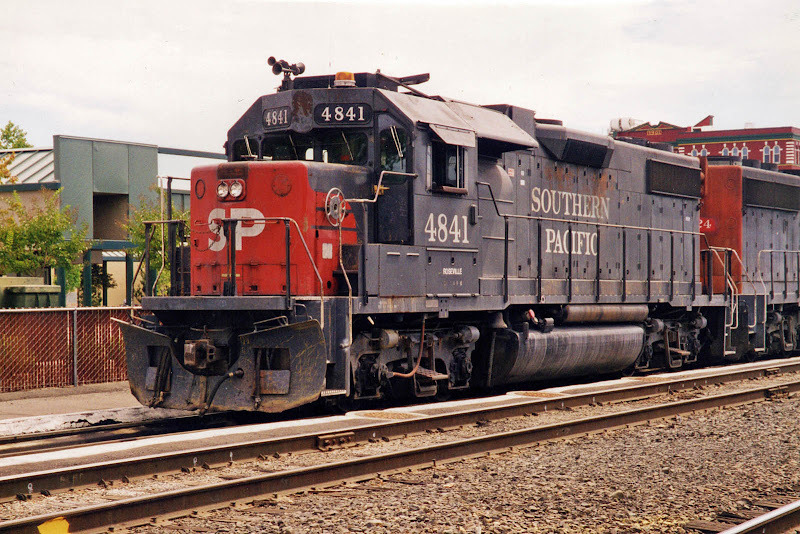 4841 is a GP38-2 delivered to SP in June 1980 (EMD serial 786272-42) later UP 600. 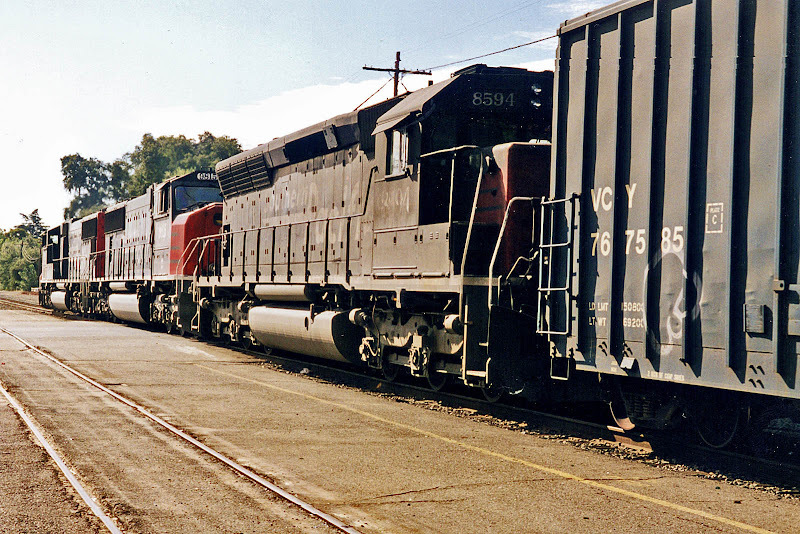 GP38-2 locomotives have mechanically blown variants of the 16 cylinder EMD 645E3 of 2000 hp. 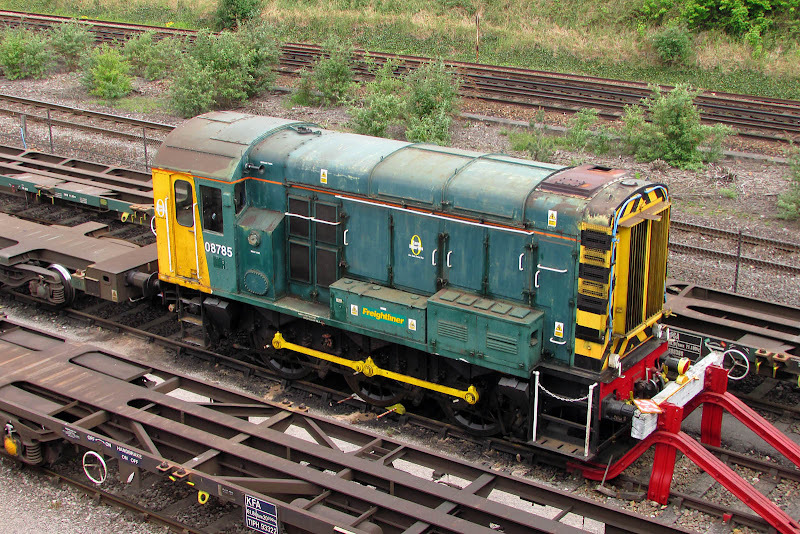 This locomotive is additionally fitted with snow shields, and is designated for snow service, with equipment on the cab roof which can be extended to catch icicles. 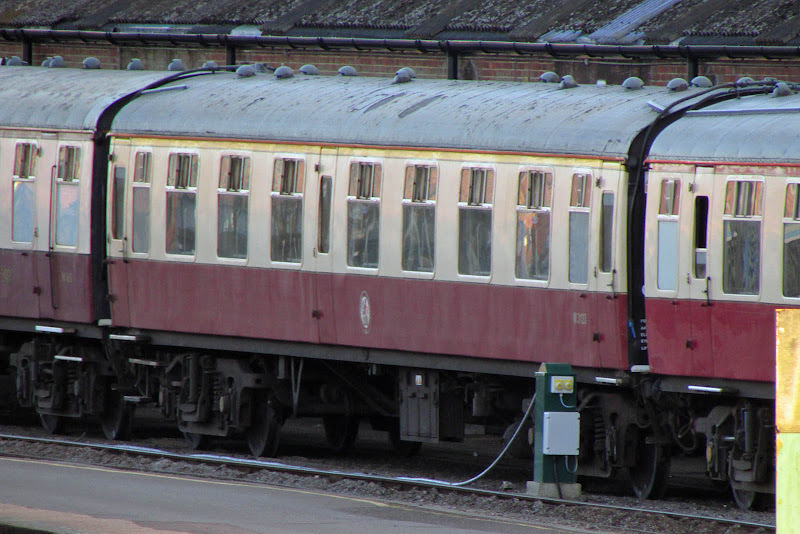 Still in UP service in 2017. Further north to Dunsmuir, where Tunnel Motor SD40T-2 8282 was stationed on pilot duties for the grades up to Shasta and beyond. 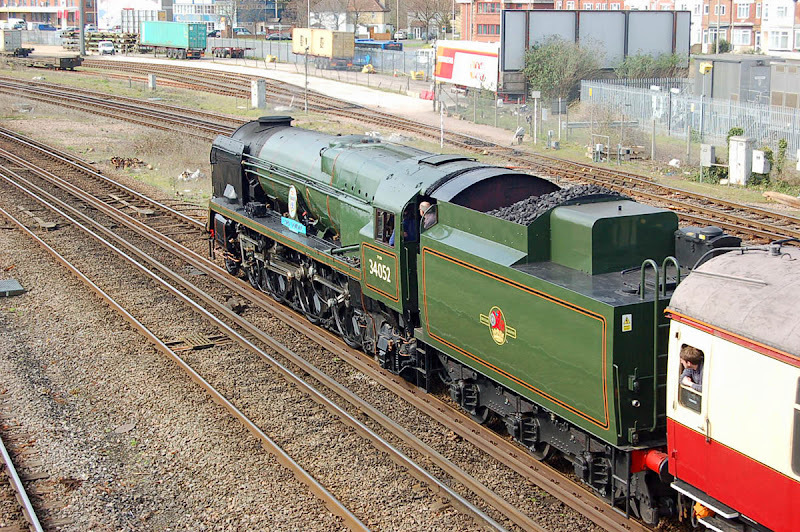 8282 was delivered in June 1980 (EMD serial 786265-53) and later became UP 2942, until retirement in 12th April 2010, at near the 30 year point, along with many of the other survivors. Picture soon after retirement, at Denver where it was auctioned. 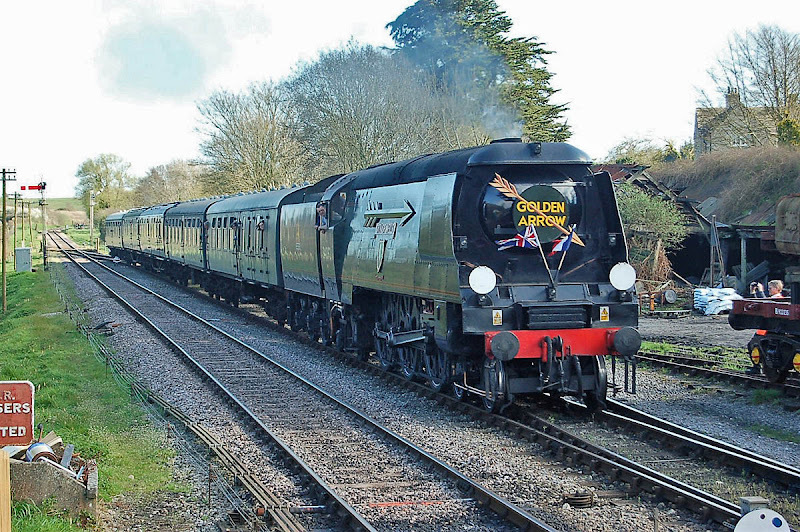 What would Mr Bulleid have thought? '34052 Lord Dowding' at Corfe Castle. 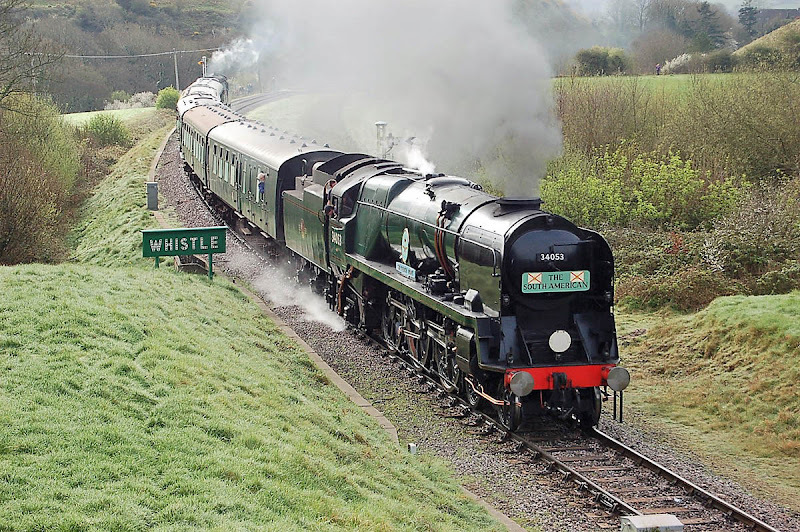 34053 Sir Keith Park arriving at Corfe Castle. 34053 on a passenger working at Norden. 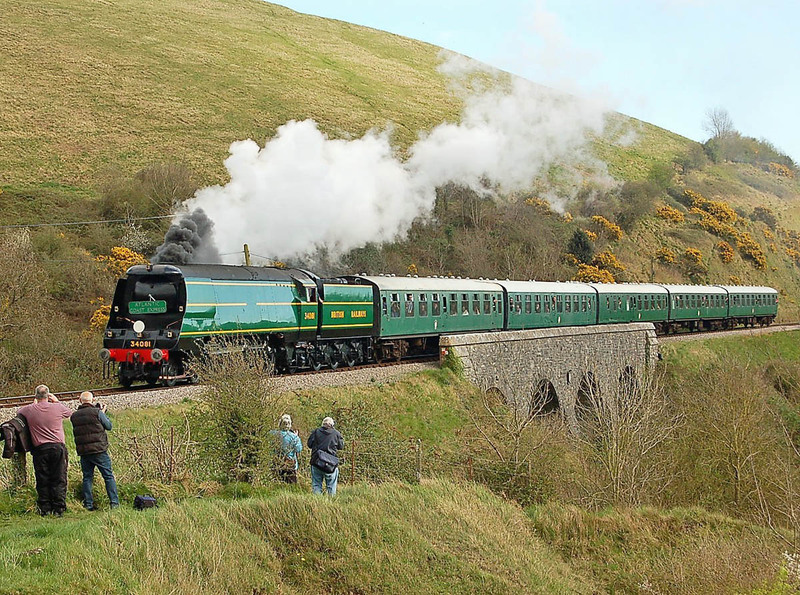 34081 92 Squadron between Corfe and Norden. 34092 City of Wells at Corfe. 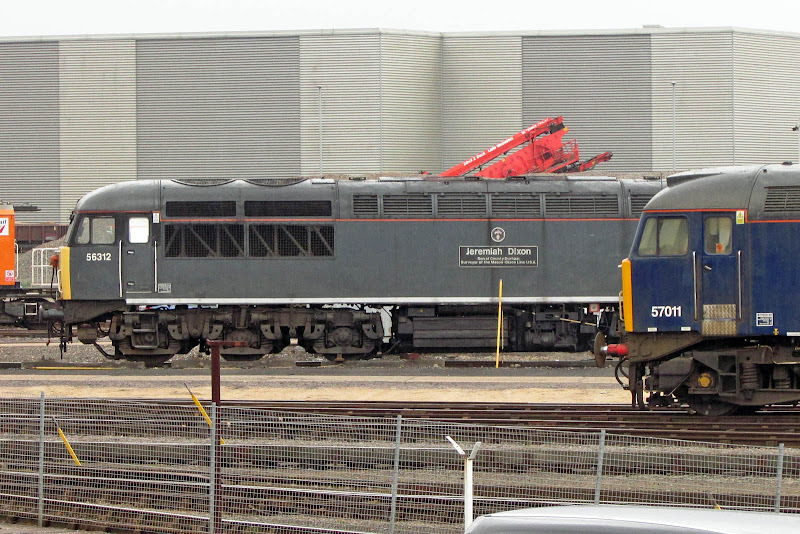 34072 257 Squadron could be viewed undergoing restoration at Herston Works on Saturday and Sunday at Herston Works. 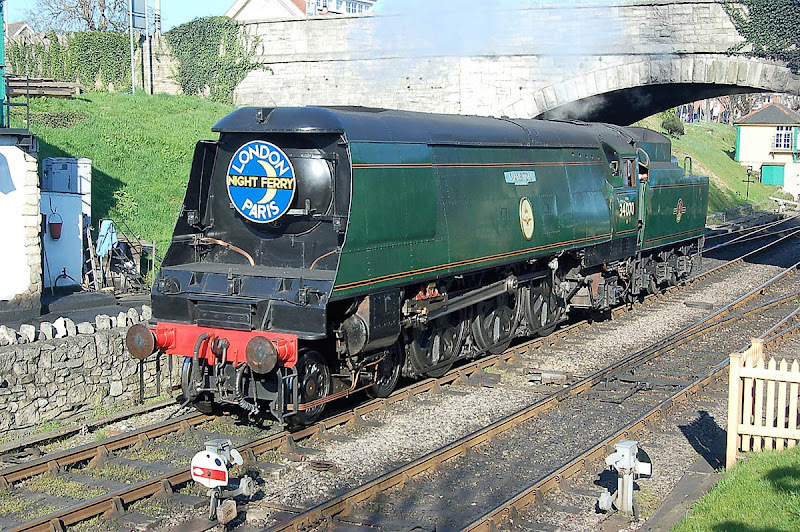 The main frame of 34010 Sidmouth was on a wagon at Corfe Castle Station and could be viewed from the platform. Four Class 40 locomotives at Haymarket, on an organised visit on the afternoon of 7th March 1979. 40162 (HA), a Class 47/4 and another Class 40, which from my notes and elimination of nose end types, is 40148 (HA). 40162 was new to 64B Haymarket as D362 on 11th October 1961, and while reallocated latterly to KD (Carlisle Kingmoor) it was withdrawn from HA on 14th December 1982, since overdue classfied repair, and had bogie fractures. Dual brakes had been fitted in 1972. After withdrawal it sat in a siding at Haymarket for a long while, as it was missing a pony wheel for one of its bogies. Eventually it was dragged to Millerhill for disposal by McWilliam in April 1986. 40148 was new to 55H Neville Hill as D348 on 7th June 1961. Transferred from the ER to HA in early 1978. After HA it was allocated to LO (Longsight). It remained only vacuum fitted. Withdrawn on 4th August 1982, to provide bogies for 40012 and power unit for 40074, after which it was stored at Stratford, Doncaster, and Healey Mills before disposal at Doncaster Works in July 1985. 40184 (HA), nearer the camera and 40173(HA) are parked in one of the 'out of use' sidings. They sat as a pair from 2nd to at least the 15th of March. 40184 was new as D384 on 19th March 1962 to 1B Camden, and migrated from the LMR to Haymarket in May 1974. It remained only vacuum fitted. 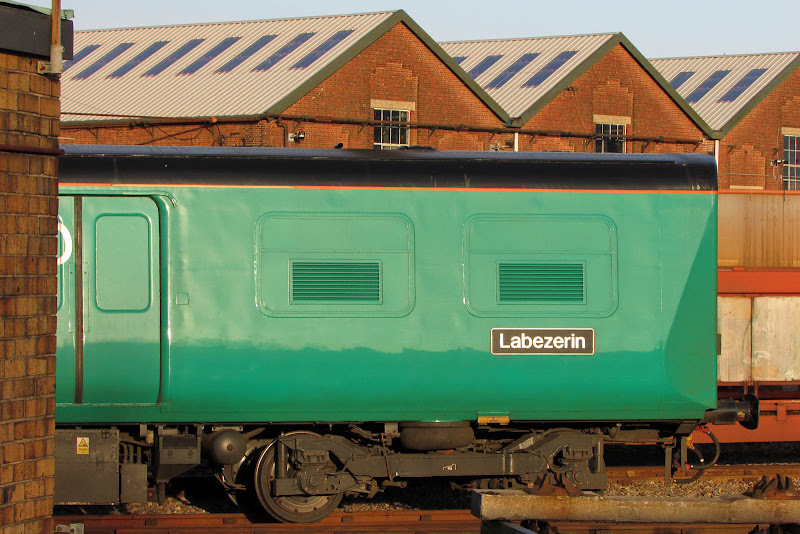 Later allocated to LO, and withdrawn on 21st December 1982 for a main generator flashover and poor bogies. 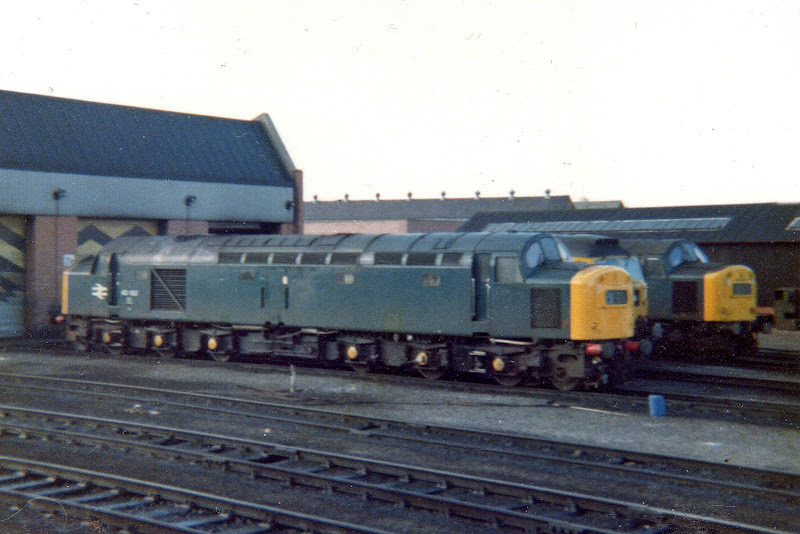 Stored at Carlisle Kingmoor then Gateshead, before disposal at Doncaster Works in December 1983. 40173 was new as D373 to 1B Camden on 5th January 1962. 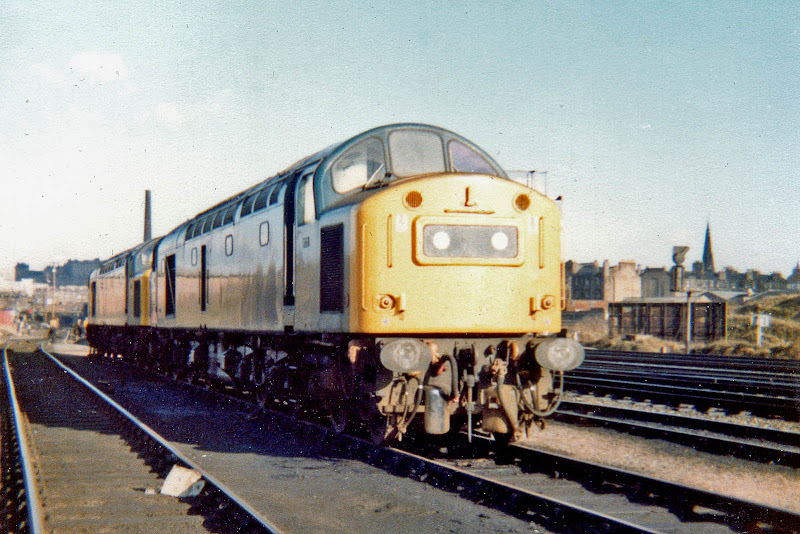 Like 40184 it migrated to HA in May 1974 (at the completion of the WCML electrification), and remained there until withdrawn on 24th August 1981. It was then stored at Eastfield, Dunfermline and Perth, where it was stripped to a shell, before unusually being disposed of at Inverkeithing in May 1985, the circumstances surrounding this being an RCTS Diesel Dilemma. 66722 with the first GBRf MOD working to Marchwood, 6O44 08:16 from Bicester, 3rd April. Image by Ian Knight. 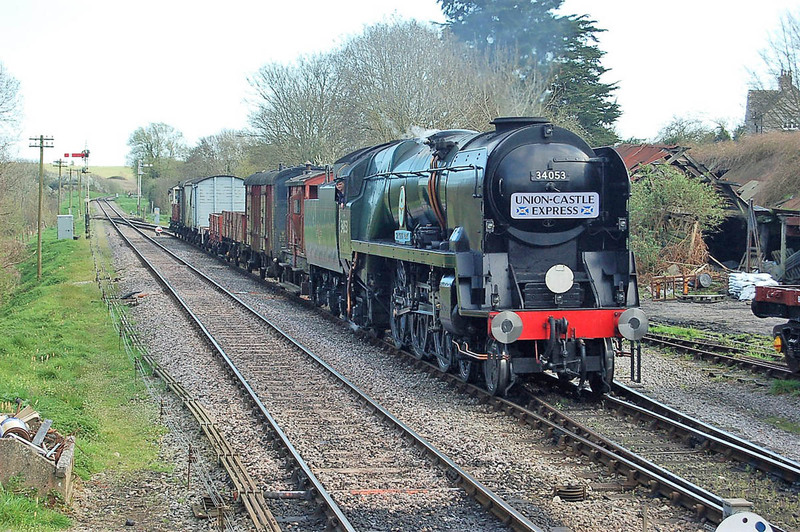 '34052 Lord Dowding' passes Millbrook in transit to Swanage, 28th March. Images by Ian Knight. 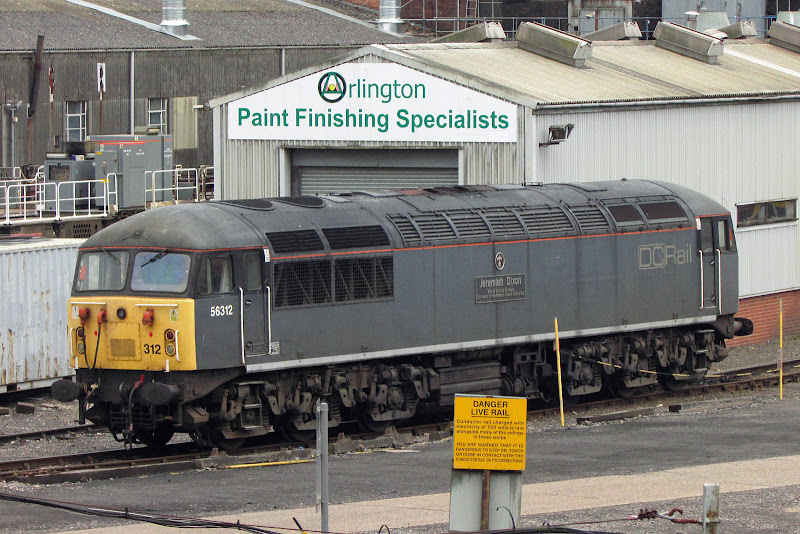 37603 reported may be withdrawn to offer a power unit for 37407, which appears to have encountered issues in the late stages of its preparation at Loram Derby for mainline return.